Humans have been living on a space station far above the earth for three hundred years. They abandoned the planet because nuclear war contaminated everything with radiation and it was no longer safe to inhabit. Living on a space station was only supposed to be a temporary solution, and now that the station is starting to fall apart, the people in charge need to figure out how to save the last of the human race. That’s where 100 teenaged prisoners come in: in order to wipe their sentences clean and help save their race, they are being sent to Earth to see if the planet is once again safe for human’s to inhabit. Told from the point of view of four of these incarcerated teens, this book explores the new world humans have created and the old world we once dominated. Is Earth any safer than a dying space station? This book is intense and is definitely the first in a series. Romances abound, but they are strained by the turmoil spreading throughout the population of human beings who have no idea what lies ahead for them. 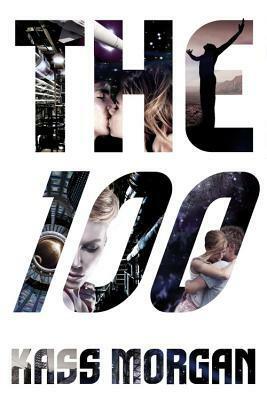 Pick this up if you like science fiction, dystopian stories, and teenage romances. Also, this book is the inspiration for the CW’s new TV show by the same name!